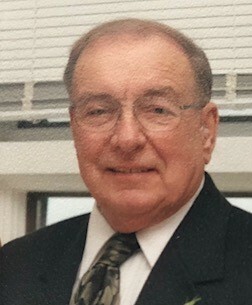 Robert E. Perry, age 94 of Taunton, passed away at his residence on September 7, 2018. He was the husband of the late JoAnne (Buron) Perry. Robert was born in Taunton, a son of the late Manuel and Mary (Burges) Perry. He was a graduate of Taunton High School Class of 1941 and Boston University School of Engineering. Before retirement, Mr. Perry enjoyed several careers. He worked as an engineer for the Federal Government on the base at Quonset Point in RI. After taking early retirement from there he worked for several years in the athletic department at Bristol Plymouth High School in Taunton. He also worked for several years in the glass plant at Princess House in Dighton before it closed. Many people will remember him for the 25 years he spent at Benny’s in Raynham. Bob proudly served his country as a Sergeant with the Army during WWII. He was a long-time member of the Jaycees and served as an officer in his earlier years. Mr. Perry enjoyed spending time with his family and friends and never missed watching his beloved Red Sox. Robert is survived by his loving children, son Robert E. Perry and companion Cara Connelly of Fall River and daughter Susan Caponigro and husband Timothy of Milton, MA. He was the grandfather of Jay and Max Caponigro. He was the brother of the late William Perry and Dorothy Gilman. Mr. Perry’s funeral will be held on Tuesday September 11, 2018 at 8:30 am from the Silva Funeral Home 80 Broadway (at Saint Mary’s Square) Taunton, with a Mass of Christian Burial at 10:00 am in Saint Mary’s Church, Broadway, Taunton. Interment with military honors will follow in Saint Joseph Cemetery. Visiting hours will be held on Monday September 10th from 4 to 7 pm. 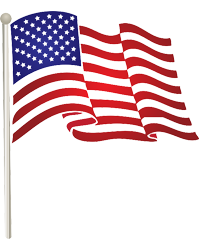 In lieu of flowers, memorial gifts made to; Compassionate Care Hospice, 100 Myles Standish Blvd., Taunton, MA 02780 or to Wounded Warrior Project in Robert’s memory, would be deeply appreciated.